This is a guest post by Jennifer Schechter, co-founder and executive director of Hope Through Health. What do the women of the West African nation of Togo and the women of America have in common? More than you might expect. The last three editions of the World Happiness Report have ranked the small nation of Togo dead last. As I dug into the World Happiness Report and examined the criteria by which countries were ranked, it became painfully clear to me why Togo landed at the bottom of the list. Most of the six dimensions used to measure happiness are tied in one way or another to poverty, which is omnipresent in Togo. Not only are Togo's GDP and life expectancy among the lowest in the world, other measures including social support and generosity are severely limited by a lack of resources. Togo has received this ranking as the saddest country on earth in large part because it has been overlooked by the international aid community for the better part of the last quarter century. Countries such as America, with a rich history of offering foreign assistance, have forgotten about the women of Togo at a time when they need us most. As an American woman who has worked in Togo for the past decade, I can tell you that while its official happiness ranking may be low, the warmth of its residents is second to none. I have found the people of Togo, especially Togolese women, to be among the kindest and most generous -- not to mention strong and supportive -- I've encountered anywhere. On a recent visit, one young woman named Deborah conveyed to me the sense of purpose she feels serving her neighbors as a Community Health Worker. In spite of the devastating poverty and lack of basic infrastructure that exists in Togo, the women of Togo have seemingly figured out what many Americans turn to expensive therapy, counseling, and yoga retreats to seek out: namely positivity, generosity of spirit, and hope that their children's lives will be better than their own. 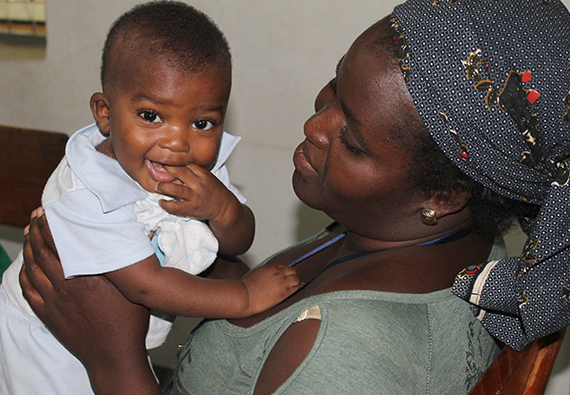 Our organization, Hope Through Health, has been working in Togo since 2004. I initially arrived in Togo as a Peace Corps Volunteer, but was motivated to do more. 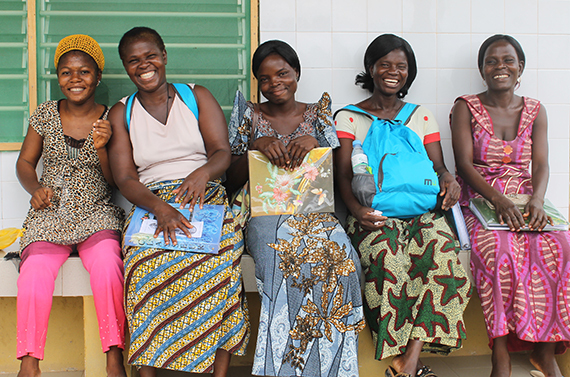 Inspired by a community who had come together to demand access to adequate healthcare, Hope Through Health was founded to ensure that Togolese women and children no longer die from preventable, treatable illnesses such as HIV, malaria, diarrhea and pneumonia. The motivation of the women of Togo to fight for the health of their children is no different than what I would do to fight for my own two children here in the US. I think global health expert Dr. Paul Farmer puts it best: "The idea that some lives matter less is the root of all that is wrong with the world." To anyone who has ever worked or lived in Sub-Saharan Africa, especially a capital city, a few sights are common. There are white Land Rovers cruising the streets, metal plaques outside schools, hospitals, libraries, and community centers, and billboards lining the highways all bear the bold emblazoned logos of hundreds of different NGOs (non-governmental organizations). But travel to Togo and you may be shocked by the absence of these markers. The reason is simple: barely any organizations operate here. Togo is being virtually ignored while surrounding countries are saturated with a myriad of NGOs. The result is that the women of Togo have been left alone to overcome their nation's challenges of poverty, poor health, and a non-existent infrastructure. But how did the women of Togo become so isolated, even within Sub-Saharan Africa? I'll provide a bit of history; after all, this might be the first time you are hearing about this small country. Most foreign aid to Togo was suspended in the 1990s after a lengthy political conflict. Despite intermittent political protests, Togo is largely peaceful. It is not conflict-ridden, nor is it mineral-rich. Togo is simply overlooked, existing in the shadow of its popular neighbor to the West, Ghana, and receiving very little attention or investment needed to help this nation meet the basic needs of its population. Togo's isolation has very real consequences for the women and children who live there. One in ten children born in Togo won't live to age five. A recent report by Save the Children, titled The Lottery of Birth, highlighted the growing disparity between rich and poor children. The report revealed that in many countries children from disadvantaged groups were being left behind. Even Save the Children, which authored this alarming report and works in more than 120 countries across the world, does not work in Togo. Togo needs our help. The women of Togo are being unfairly punished for political actions--largely perpetrated by men -- which occurred well over 20 years ago. Enough reforms have been made to permit the European Union to reestablish ties with Togo. But bilateral government support, private philanthropy, and NGO activities have been slow to return. As is so often the case, the problems made by men must be solved by women. Rather than wait for the winds of international aid to shift toward Togo, we must start the movement ourselves. As American women searching for hope, meaning, and fulfillment in our own lives, let us join together to support the women of Togo. 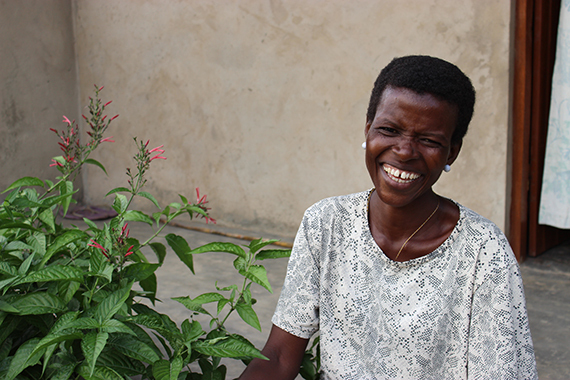 Hope Through Health believes that health is a human right, that every woman has a right to access reproductive health services, every mother has a right to a safe place to deliver her child and every child has a right to not die from a preventable, treatable illness. 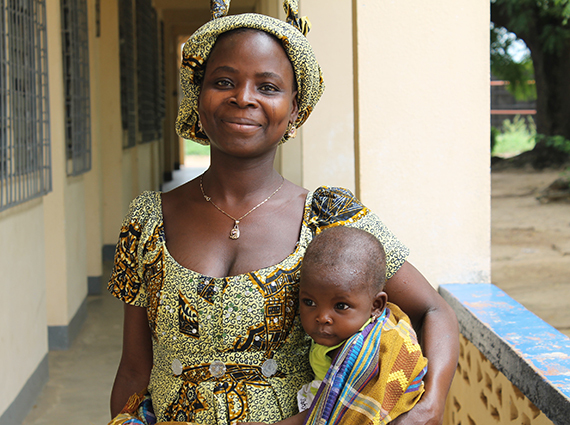 Hope Through Health is working to make those basic rights a reality for all women in Togo.